The Stages of Debt Delinquency and How to Avoid Them (Part 3) - Castle Rock Bankruptcy Attorney - Jon B. Clarke, P.C. To avoid the vicious cycle of debt delinquency, contact an experienced Colorado debt relief lawyer who is experienced at dealing with creditors directly. Concluding the three-part blog The Stages of Debt Delinquency and How to Avoid Them, the following outlines the final stage of the vicious debt delinquency cycle, as well as what borrowers can do to stop the cycle, protect themselves and achieve a financial fresh start. Final stage of delinquency: Creditors take legal action against you – If creditors have not been able to get a hold of you, and no resolution has been achieved in terms of the outstanding debt, they will likely go to court to try to have your wages garnished, to repossess your assets, to freeze your bank accounts and/or to file a lawsuit against you. While the thought of going to court may be daunting, if you don’t show up (or if you don’t have a representative show up on your behalf), the court will likely rule in favor of the creditor. Once this ruling has been handed down, there is little you can do to reverse it. They can take action to stop this cycle well before it reaches the final stages. 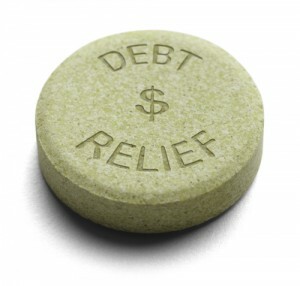 Working with an experienced Colorado debt relief lawyer can significantly improve their predicament. Stop creditors from contacting them altogether. Prevent creditors from taking any legal action against them (which will prevent wage garnishments, repossession of cars or other assets, foreclosure proceedings from being initiated on one’s home, etc.). Discharge a number of their debts (such as credit card debt, medical bill-related debt, etc.). Give them a financial fresh start.